The Vantage Black Sticks Men have gone down 6-2 to a determined Great Britain side. Great Britain put themselves up 5-0 before the Black Sticks tried to come back into the game. Unfortunately the mountain proved too great and the Great Britain team came away with the points. The Game started evenly with both sides looking to construct some offense. The Black Sticks were playing with an aggressive press looking to put the Great Britain Men under pressure and forcing some turnovers deep in their own half. The Black Sticks had some great early chances, but Great Britain goalkeeper George Pinner managed to scramble across the goal and keep the Black Sticks strikers in check. After the 1st quarter we were still tied at 0-0 but both sides were looking threatening. Great Britain started the 2nd quarter aggressively earning the first penalty corner of the match. Richard Joyce saved the 1st shot however it came up off his kicker giving Great Britain a second chance at the penalty corner. The resulting penalty corner ended up going in off Richard Joyce’s pad putting Great Britain in the lead 1-0. Late in the 2nd quarter Great Britain earned another penalty corner after the Black Sticks couldn’t secure the ball in the circle. The Great Britain team then used a variation behind the back of the flicker and was put in the goal by Phil Roper. Great Britain then scored their third through captain Adam Dixon on another penalty corner. Great Britain would head to the sheds at half time full of confidence and looking to close out the victory. Great Britain continued to apply the pressure at the start of the 3rd quarter and earned themselves another penalty corner on a crash ball into the Black Sticks circle. Richard Joyce saved the drag flick and we remained 3-0 in favour of the Great Britain team. As the quarter wore on the Great Britain side capitalised when the Black Sticks couldn’t clear the ball and Sam Ward scored his second goal of the evening and put the Great Britain team in a commanding position. Phil Roper then scored his second goal of the evening off a high deflection into the goal. Late in the 3rd quarter the Black Sticks got themselves back into the game with 2 goals the 1st by Nic Woods in his 100th match as he drag flicked the ball into the net. Hugo Inglis then scored his 4thgoal for the tournament as he received a well-placed overhead in the circle and touched it over the keeper giving the Black Sticks a shot at a comeback. In the 4th quarter the Black Sticks playing with no keeper Sam Ward completed his hattrick and further extended the Great Britain lead scoring their 6th goal of the evening. With 12 minutes to go Great Britain conceded a penalty corner however the Great Britain 1st runner was able to force Kane Russell’s drag flick wide of the goal. 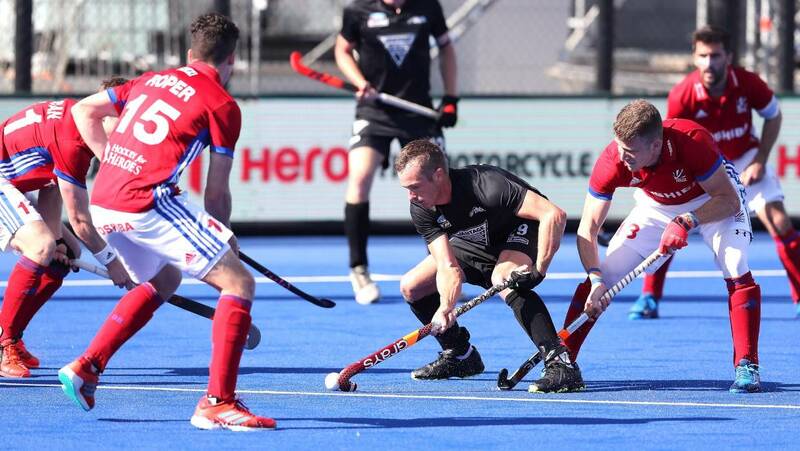 The New Zealand men's Black Sticks remain winless in the FHI Pro League following a 6-2 drubbing at the hands of Great Britain on Friday. The Black Sticks were outplayed and out-hustled by an energetic British team at Ngā Puna Wai Sports Hub in Christchurch. Friday's encounter was the first time international hockey had been contested in Christchurch since Porritt Park was destroyed in the 2011 earthquakes. The humbling loss was an unfortunate way for Black Sticks midfielder Nic Woods to bring up his 100th test match in the black shirt but he did manage a goal in his milestone match. A three-goal second-quarter blitz - all from penalty corners - put Great Britain in a commanding position up 3-0 at halftime. They were clinical on attack and defence and limited opportunities for a dull Black Sticks side in a high-scoring match. Great Britain forward Sam Ward scored his second goal early in the third quarter that came from an unlucky rebound from Black Sticks keeper Richard Joyce. Joyce, who was constantly under pressure but pulled off several remarkable saves, saved an attempt on goal only for the ball to bounce straight back to Ward who knocked it in to make it 4-0. Soon after, Phil Roper tapped in his second following some sharp work from Ward in the circle. The Black Sticks finally won their first penalty corner late in the third quarter but were unable to convert. But they did a couple of minutes later when Great Britain were a man short following Liam Sanford being handed a yellow card. Woods converted from the Black Sticks second penalty corner. Black Sticks striker Hugo Inglis quickly doubled his team's score when he skilfully tapped in a lengthy overhead pass from Kane Russell to further capitalise on the visitors being a man short and close the gap to 5-2 at the end of the third quarter. But the Black Sticks' comeback took a hit early in the final quarter when Ward got his hat-trick with a soft goal despite his team still being a man down. Black Sticks striker Stephen Jenness dealt his side a further blow when he was had to sit down for five minutes in the final quarter for dissent. In the first quarter, Ward grabbed the first goal of the match before Roper scored the second - after the ball struck Black Sticks defender Shea McAleese's foot. The Black Sticks problems were compounded soon after when striker Hayden Phillips was shown a yellow card for a foul, forcing his team to play with just 10 men for five minutes. And Great Britain capitalised, less than a minute later, with a third goal to captain Adam Dixon. At halftime, Great Britain dominated the stat sheet with 59 per cent of possession and 12 circle entries compared to just four from the Black Sticks. They had capitalised on three of their six penalty corners but the Black Sticks could not even win a penalty corner in the first half. With a loss to The Netherlands (3-4) and a penalty shootout loss to Belgium (after being locked up at 4-4) the Black Sticks are yet to taste victory in the FHI Pro League. Great Britain, unbeaten in two games, top the men's points ladder. The Vantage Black Sticks Women have rebounded spectacularly from their shock loss to Belgium a week ago to beat Great Britain. The Black Sticks showed an improved focus on both ends of the field as they took the result 5-1 to gain their first points of the FIH Pro League. The Black Sticks took on the reigning Olympic Champions Great Britain in the second match of the evening at Nga Puna Wai Sports Hub. Looking to bounce back after two tough defeats to the Netherlands and Belgium the Black Sticks got themselves on the scoreboard early through a goal to Olivia Merry breaking the Black Sticks scoreless drought in the FIH Pro League. Great Britain got themselves on the scoreboard soon after when the Black Sticks were ruled to have stopped the ball with their body on the goal line resulting in a penalty stroke which was converted by Giselle Ansley. There was no further change to the score as the 1st quarter finished with us tied at 1-1. The second quarter was an exciting one which saw the Vantage Black Sticks retake the lead in the 19th minute with an Ella Gunson drag flick. The Black Sticks were looking to move the ball around quickly and expose the Great Britain defence. With 8 seconds to go in the half the Black Sticks conceded a penalty corner off a crash ball into the circle. The Black Sticks defence ran down the penalty corner and withstood the Great Britain attack to head to the sheds with a 2-1 lead. The Great Britain side started the 3rd quarter positively and challenged the Black Sticks keeper Grace O’Hanlon was up to the task to keep the Black Sticks lead intact. Olivia Merry then disposed one of the Great Britain defenders of the ball and powered into the circle to rocket a shot past the keeper and increase the Black Sticks lead 3-1. Kirsten Pearce late in the 3rd quarter received a great through ball from Kelsey Smith and had a shot however the shot went just wide of the goal and the score remained the same as we went into the 4th quarter. Late in the 4th quarter Olivia Merry converted a penalty corner to score her 3rd goal of the evening and put the Black Sticks in a commanding position with 10 minutes to go in the match. Great Britain had a penalty corner with 2 minutes to go however Grace O’Hanlon reacted spectacularly and stopped the deflection. The Black Sticks then broke down the field and Amy Robinson slotted home the Black Sticks 5th goal for the evening to seal an emphatic win. Hobart pair Josh Beltz and Jack Welch have called on the Tasmanian public to get out and show they deserve more international events when the Kookaburras and the Hockeyroos play this weekend. 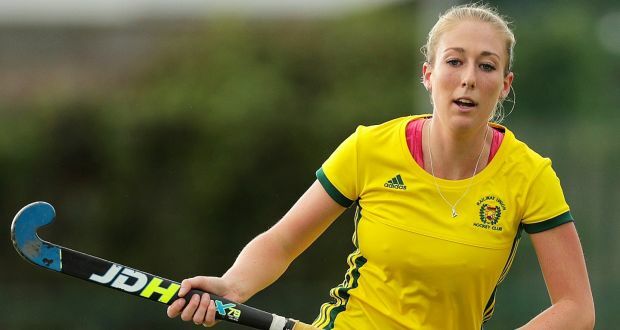 Australia will play three matches on Saturday and Sunday at the Tasmanian Hockey Centre, taking on China PR and Germany as part of the new FIH Pro League. The Hockeyroos will play China and Germany at 5pm on Saturday and Sunday respectively, while the Kookaburras will face the Germans at 3pm on Sunday. The Kookaburras will also play an 2x15-minute exhibition match from 3pm on Saturday followed by a clinic and fan engagement with signing opportunities. “The more people we can get there the better to cheer us on,” said Beltz, who’ll represent his country in front of his home crowd for the first time on Sunday. “I think as much international experience we can get down here the better. “I think this weekend is a good opportunity for the Tassie fans to show the other states that we really support hockey and we want to have as many games down here as we can. Welch will make only his sixth international appearance in green and gold, having debuted in September. He described playing in front of his home crowd as a “dream come true”. “Family and friends are going to be able to watch, so it’s definitely going to be an experience to remember,” Welch said. “There’s definitely going to be nerves. I’ve only played a few games. I’m going to go out there, try to play confident and see how we go. Beltz and Welch are long-time family friends who grew up in the same neighbourhood in Hobart and both said playing together in their hometown was special. “The FIH Pro League is about playing the best teams in the world. We’ve got Germany who are by no means an easy team. Anna O’Flanagan, captaining the Green Army today, gave her team an early lead in the 7th minute from a well worked penalty corner routine that saw her score from the rebound. But 3 minutes later and the experienced Carlota Petchame had levelled the tie against the run of play. Lola Riera doubled Spain’s lead from a powerful drag flick from the top of the circle that lift Liz Murphy with little chance. Lizzie Colvin continued her fine form, stepping back into the squad following a break after the World Cup, as she controlled the midfield channel and distributed the ball with ease. Sarah Hawkshaw, who recently earnt her first cap in Chile, continued to impress with her darting runs down the wings while cutting either side of her Spanish markers. Petchame gave the hosts a commanding lead in the third quarter from a bit of a goal mouth scramble. The initial reverse strike was parried away before Maialen Garcia scooped the ball over Murphy to find Petchame at the busy back post to bundle the ball into the goal. Ali Meeke’s skills were on display as she left several defenders in her wake, but the final outcome was just missing for the Green Army today. Riera finished the game off with her second goal; another well executed penalty corner. The results didn’t go Ireland’s way in Spain over the past week with three defeats and two draws from their five games, but coach Graham Shaw used the contests to give further opportunities to some of the squad’s more recent additions, among them Sarah Hawkshaw and the Barr twins Bethany and Serena. Having drawn one and lost one of their two games against India in Murcia, Ireland ended their three-match series against Spain in Granada on Thursday with a 4-1 defeat, adding to their earlier 2-1 loss and 3-3 draw against the team they beat in last summer’s World Cup semi-finals. Anna O’Flanagan gave Ireland a first-quarter lead in the last of the matches, but their hosts were level by the break, and added three more scores in the final two quarters. 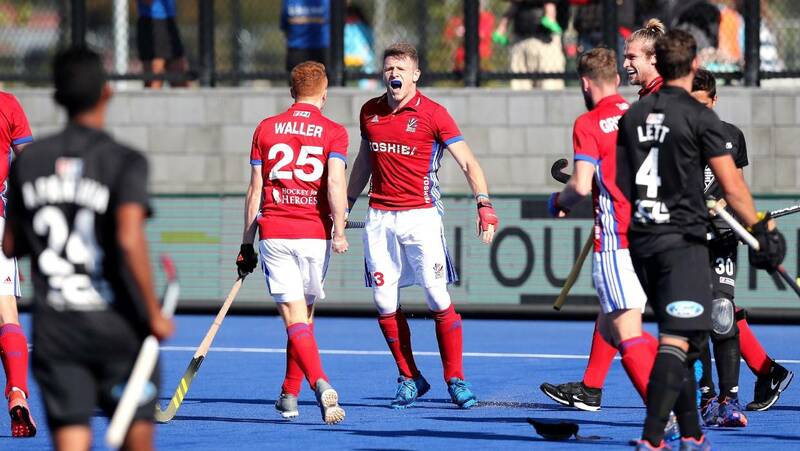 Next up for Ireland is a trip to Bisham Abbey in England next month, when they will play a number of uncapped games against Britain, but before then the players return to club duty, starting this weekend with the resumption of the Hockey League. After the last round of matches in November, Pegasus led the table by two points from Loreto, with UCD a further five points adrift, one clear of Pembroke Wanderers in fourth. The pick of the weekend games then is the meeting of UCD and Pegasus at Belfield, while Loreto host Cork Harlequins, who are a point off the top four. Pembroke are at home to Belfast Harlequins (sixth) on Sunday, with Railway Union (eighth) taking on Old Alexandra (seventh). Saturday’s only game pairs the bottom two with Ards at home to Muckross. Hockey League – Saturday: Ards v Muckross, Ards Park, 2.30pm. Sunday: Loreto v Cork Harlequins, Grange Road, 1.30pm; UCD v Pegasus, Belfield, 1.30pm; Pembroke Wanderers v Belfast Harlequins, Serpentine Avenue, 4pm; Railway Union v Old Alexandra, Park Avenue, 4.15pm. KUALA LUMPUR: Terengganu Ladies defeated KL Wipers 3-0 today to win the women’s Malaysia Hockey League. Sadly, only 20-odd fans watched the match held at the Tun Razak Stadium here. They scored through Siti Rahmah Othman (23rd minute), Fatin Shafika Sukri (34th) and Siti Noor Amarina Ruhani (55th). Terengganu Ladies, also champions in 2017, have one more match left in the league against China’s Liaoning Hockey Club on Saturday. They earned 30 points, five more than PKS UniTen, from 11 matches. "Our only blemish in the league was the 2-1 defeat to UniTen in our last match. “I salute my charges for their superb performance to retain the title,” said coach K. Gobinathan. Captain Siti Noor Amarina, national player, said they will not focus on winning the overall crown. "We still have a match against Liaoning to complete the league fixtures on Saturday and will use it as a warm-up for the semi-finals. We hope to win the overall title," said Siti Noor Amarina. Tengku Mahkota Ismail 1 PKS UniTen 5, PSHA-MSSP 0 Liaoning HC 16, Terengganu Ladies 3 KL Wipers 0. We are the champions. Terengganu players celebrating after winning the National Women’s Hockey League. - MUHAMAD SHAHRIL ROSLI/The Star. KUALA LUMPUR: Terengganu lifted their second National Women's Hockey League title in style with one match in hand. The East Coast team defeated KL Wipers 3-0 at the Tun Razak Stadium in Jalan Duta on Thursday and sealed the title and pocketed the prize money RM50,000 with 30 points from 10 wins and one defeat. Their only defeat was against PKS-Universiti Tenaga Nasional (Uniten) 2-1 on Monday. Terengganu, who won their first league title in 2017, will wrap up the league fixtures against Liaoning Club of China on Saturday. All Terengganu needed was just a draw against KL Wipers to clinch the title but they went on the offensive and took a lead through Siti Rahmah Othman off a penalty corner in 23rd minute. It was her eighth goal in the league. They kept up the pressure and netted two more penalty corners through Fatin Shafika Mohd Sukri in the 34th minute before Siti Noor Amarina Ruhani completed the rout in the 55th minute. Terengganu skipper Siti Noor Amarina Ruhani was delighted with the victory. Liaoning Club thrashed hapless Penang State Hockey Association PSHA-MSSPP 16-0 at the USM pitch on Thursday. Top four teams - Terengganu, PKS Uniten, Police Blue Warriors and Liaoning Club - will feature in the overall cup. The first-leg semi-finals matches will be played on Tuesday while the return leg matches will be held on Thursday. The final is slated on Feb 16. KUALA LUMPUR: Universiti Kuala Lumpur’s (UniKL) top hockey defender Timothy Deavin wants to make Malaysia his second home. This does not come as a surprise as the Australian has been captivated with the country since he started playing in the Malaysia Hockey League (MHL) in 2017. In fact, the 35-year-old from Perth plans to go one step further by opening up a sports bar in Kuala Lumpur when he is not too busy with hockey. “I like the lifestyle in Malaysia. Kuala Lumpur is one of my favourite places to stay. I want to make it my second home,” said Deavin. “I opened a sports bar in Perth three years ago. “There are people managing it for me while I play hockey in Malaysia. “I hope to expand my business here. I’ll try to balance both al­though hockey will always remain my greatest love,” said the Aussie, who has a degree in computer science. The only thing he is still trying to adapt to in Malaysia is its hot and humid weather. “I’m still getting used to it. But I’m having good fun playing with this team here,” he said. His only disappointment so far is missing out on a medal at the 2016 Rio de Janeiro Olympics. Australia lost 4-0 to Holland in the quarter-finals. Deavin hoped to steer UniKL to their first league title. “We are having a good run so far and I believe that we stand a good chance of winning,” he added. UniKL top the standings with 19 points and they will start as the favourites against Universiti Tekno­lo­gi Mara (UiTM) today at the Tengku Abdullah Stadium in Bangi. Their main challenge will be against second-placed Tenaga Nasional on Sunday at the Tun Razak Stadium. UniKL edged UiTM 2-1 and Tenaga 3-1 respectively in the first-round matches. ISLAMABAD - Rawalpindi Hockey Association senior officials and member of Pakistan Hockey Federation Muhammad Yasin congratulated Olympian Shahbaz Senior for taking back his resignation as secretary PHF and continuing his duties again. While talking to The Nation on Thursday, M Yasin, who is also Punjab Hockey Association representative expressed these views. He said Shahbaz had served Pakistan hockey for decades and Pakistan hockey need a person like Shahbaz, who could steady the ship along with President Brig (R) Khalid Sajjad Khokhar. “I have long being associated with hockey in different capacities and I know inside outs of hockey. I can easily claim that Shahbaz under present circumstances has done the right thing in the best interest of Pakistan and hockey as Shahbaz doesn’t need posts nor offices to get personal benefits. It is hockey who needs Shahbaz. He is a mega name and he needs no introduction world-wide. Whenever one takes Pakistan name in hockey, it is impossible to sideline Shahbaz and his services for Pakistan hockey. I want to say a big thanks to Brig Khokhar, who rejected Shahbaz’ resignation and urged and convinced Shahbaz to take back his decision, which I feel was taken after he got highly frustrated. But now I know and I am confident Shahbaz is back, Pakistan hockey will start upward journey again,” Yasin concluded. LAHORE: The absence of basic skills is the major reason behind the declining trend of hockey in Pakistan; this was stated by former international hockey player M Rasheed while talking to ‘The News’ on Wednesday. M Rasheed, who clinched seven gold medals during his playing days, said the young hockey players are not being taught the basic techniques of the game properly which is a big injustice with the game itself. “Though the modern day hockey has advanced to a great extent but the fundamental structure remained the same even after several decades and our young learners need to focus on improving the basics of the game,” he added. Giving the details of his playing career, Rasheed informed that he has been part of one of the best hockey teams. “I was the member of Pakistan team that won seven gold medals in 1982 Asian Games, 1980 Champions Trophy at Karachi, 1979 Junior World Cup at Paris, 1980 Azlan Shah Hockey, 1981 4-Nation Hockey Tournaments at Singapore, Poland and Holland”. Answering a query, M Rasheed, who represented Pakistan in 84 matches including two Champions Trophy tournaments in 1980 and 1981, said the current leading hockey teams of the world brought several changes in the format of the game after the 1990s according to their culture and atmosphere but unfortunately our hockey players are trying to copy their playing style blindly instead of focusing on their own game. M Rasheed, a former key defender of the national hockey team, further said that Pakistan Hockey Federation (PHF) Secretary Shahbaz Sr has great respect among the world hockey community and Pakistan hockey must take benefit from his iconic stature. He said it’s right time for Pakistan hockey authorities to trace fresh talent at grassroots level. “They can get sufficient hockey potential by holding regular hockey events at schools and colleges. There is also need to depute qualified coaches at schools. While coaching in schools, our coaches must focus on the basic hockey skills in the early stages of a young hockey player”. Replying a question, M Rasheed said: “Pakistan hockey high-ups must forget their personal differences for the true growth of hockey across the country. Pakistan hockey can regain its lost glory if all the stakeholders play their due role positively for the revival of hockey”. India’s hockey star Gurjit Kaur in action during Asia Cup in Japan. 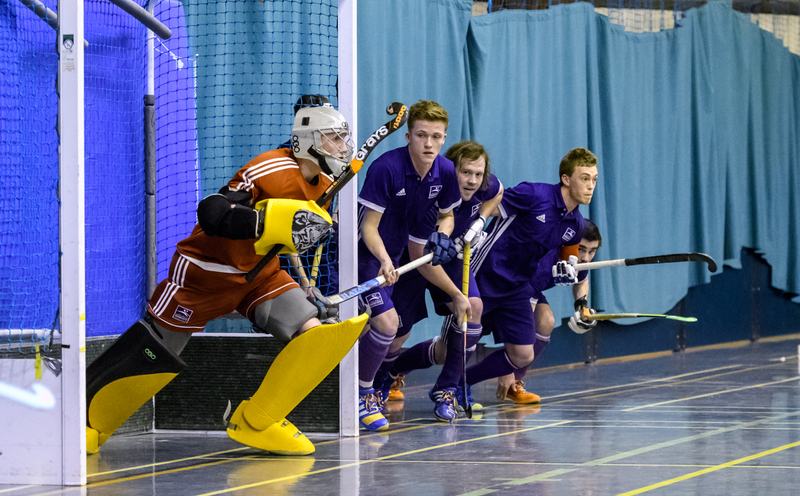 The first team to take points off leaders Surbiton, the University of Exeter will be aiming to do the same again as they begin the second half of the Men’s Hockey League Premier Division with a home game against the reigning champions on Sunday. September’s 1-1 draw turned heads as the top flight newcomers took their first points, but since then they have only secured three more points despite playing some good hockey. Simon Tyson, University of Exeter’s Manager, said: “We’re looking forward to the second half of the season, starting with Surbiton. They’re obviously a top team and as with most of our fixtures in the Premier Division, we’ll be playing against one of our old boys, this time James Royce. “We were disappointed not to get more points on the board in the first half of the season given that almost all of our games have been close affairs. The squad is now much more experienced at Premier Division level than at the beginning of the season and we’re confident that we can pick up some results over the coming weeks. Should Surbiton fail to take maximum points, Hampstead & Westminster could be there to leapfrog them to go top of the table. They face third bottom Wimbledon. Elsewhere, third-placed Beeston host Brooklands MU. Beeston are only three points off the top two and could go level with the top two if results go their way, whilst bottom side Sevenoaks face mid-table Reading in their quest for a first win of the season. In the Men’s Conference East unbeaten leaders Old Georgians have a home game against Teddington, while second-placed Oxted go to Canterbury who are third. A win for either side will see them second. And at the other end of the table there’s a crucial game at bottom of the table Richmond on Sunday when they host third-bottom Cambridge City who are just two points ahead. We could have a new leader in the Men’s Conference North after this weekend. Current table toppers Bowdon are at home against third-placed University of Nottingham, who could go top if they secure a big win. They will also need second-placed University of Durham to lose to Loughborough Students. And in the Men’s Conference West headers Olton & West Warwicks head to Oxford Hawks as they bid to pull clear of Havant, who are level on points. 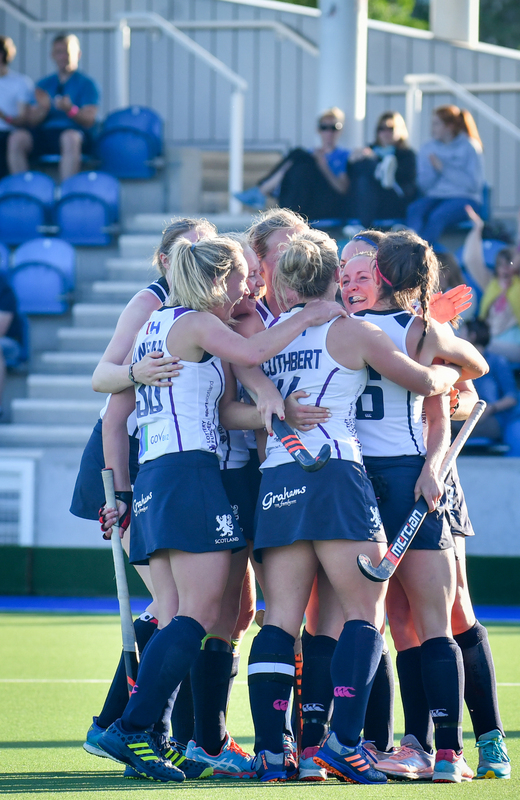 After storming to victory in the Jaffa Super 6s Indoor Championship last month, East Grinstead will be aiming to transfer that form to the outdoor game as the Investec Women’s Hockey League Premier Division resumes. Currently third in the table, East Grinstead are at home against second-placed Holcombe on Saturday, and could go top if they win and current leaders Surbiton lose out at Buckingham by more than two goals. East Grinstead will be without Ellie Rayer who is away on international duty, while Laura Unsworth is out injured. Elsewhere, bottom of the table Canterbury will be hoping to record their first win of the season as they travel to second-bottom Slough, who only have one victory to their name. The University of Birmingham play host to Clifton Robinsons who will be keep to retain their place in the top four, while Bowdon Hightown travel to Beeston on Saturday. And Sunday sees Bowdon Hightown in action again, with a home match against Slough. In the Investec Women’s Conference East the top two sides play each other, with leaders Wimbledon having home advantage over second-placed Hampstead & Westminster for Saturday’s match. Elsewhere, Cambridge could move up from third to first if they can beat visitors Harleston Magpies and the sides above them can only draw. Unbeaten Loughborough Students head to the University of Durham on Saturday aiming for another victory after last weekend’s big 9-0 win over Timperley. Second-placed Leicester will want to keep pace with Loughborough as they host Ben Rhydding, while at the other end of the table the bottom two play each other with Sutton Coldfield going to Timperley. With nine league wins in a row under their belts, Investec Conference West leaders Stourport could take that winning streak to 11 this weekend as they go to Swansea City on Saturday then return home to play Trojans on Sunday. The regionals will begin in March and the grand finals are tabled to be played in July at St Mary’s DSG. THE dates for the ninth SPAR KZN School Girls’ Hockey Challenge in South Africa have been announced, with the grand finals taking place at St Mary’s DSG in Kloof. Four tournaments will take place in March and will kick off with the Pietermaritzburg regionals. The central and northern regionals of Pietermaritzburg will be played on Sunday, 3 March, hosted by one-time winners, St John’s DSG and The Wykeham Collegiate. Saturday, 9 March will see the Durban North regional take place at Crawford La Lucia. Durban Girls High School will host the Durban central regional at 3 Schools Trust on Sunday, 10 March. The fifth regional tips off the first of two tournaments taking place in April. On Sunday, 7 April, Amanzimtoti will see the teams for the Durban south regional at 3 Schools Trust. Heading further south, the challenge moves down to Port Shepstone for the Sisonke and Ugu Southern KZN Regional tournament on Saturday, 13 April at Creston College. The final four tournaments all take place in May. The action will move inland to Newcastle’s St Dominic’s for the Northern KZN regional on Saturday, 4 May. Greytown High School will host the Umvoti, uThukela and Umzinyathi regional on Saturday, 11 May. The Highway regional will take place at Thomas More College. To wrap up the regionals, Grantleigh will host the northern KZN coastal regional on Sunday, 19 May. Once the winners are revealed at the 10 regionals, the regional representatives will converge at St Mary’s DSG two months later for the grand finals. The riveting final swill take place on Saturday, 20 to Sunday, 21 July.